HSE’s structural engineers are working hand-in-hand with architects and MEP engineers to design new elementary, middle and high schools throughout New York State. Oftentimes the projects include working within, around and even over existing buildings. We understand that every school has its unique challenges and we thrive on making the architect’s vision come to fruition. The success of a project often depends on how well the architects and engineers work together as a team. In addition to our structural expertise, our strengths include keeping open and fluid communication with the other team members, our responsiveness to the collaborative effort and our attention to detail. We are there when you need us during both the design and construction phases. Many architects we work with do not approach a project with a “cookie-cutter” mentality. They like to inspire with their designs and we work closely with them to help push the limits on what can be done structurally. 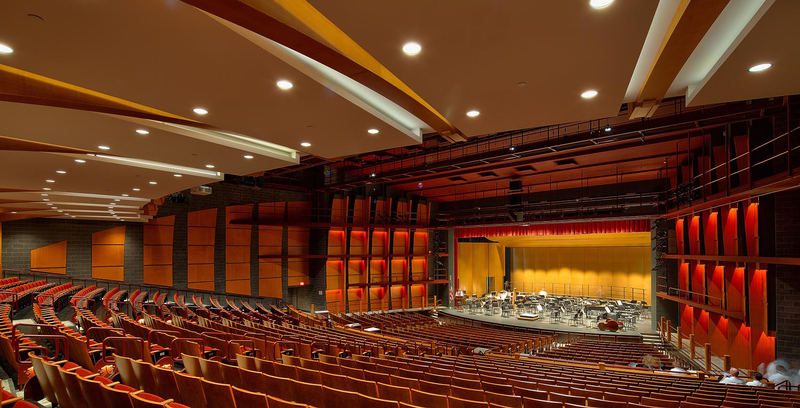 Whether it’s a dramatic curvilinear glass roof structure over a lobby, a 1200 seat performing arts center with a cantilevered balcony or a new glass roofed light court integrated into an existing interior space, we think outside the box to make these spaces come to life. Not all aspects of a school project are cutting edge and awe inspiring. Whether it’s working with the MEP engineers to structurally support new equipment and design new mechanical platforms or working with the architects to create openings in existing walls and add a new elevator shaft in an existing building, our extensive experience from our long-tenured staff of engineers can make it happen. Adding secure entrances, additional classroom space, technology upgrades and federally mandated ADA accessibility upgrades are oftentimes a large part of a school district’s capital improvement project. The new requirements to accommodate these spaces and access points typically includes structural modifications. Many of these spaces are required to be programmed within the existing school footprint. We understand that working with existing building elements is an essential part of any school project. Many of the existing school buildings we deal with include unique structural materials and elements that are no longer common. We are experts in understanding the strengths and limitations of these elements and materials. Whether it’s diligently studying existing structural drawings, closely inspecting the existing structure in person or researching unique conditions, we help ensure that the new structure integrates effectively with the existing material and elements. Our experience helps us devise both cost-effective and efficient structural solutions. We are currently working on several K-12 School projects with various design teams. These capital improvement projects total over $100 million in renovations, additions and new structures. Add experience, responsiveness and creativity to your next project by including HSE on your design team.